*Limit one game per person per day. Does not include shoe rental ($3.81). How’s your bowling average these days? 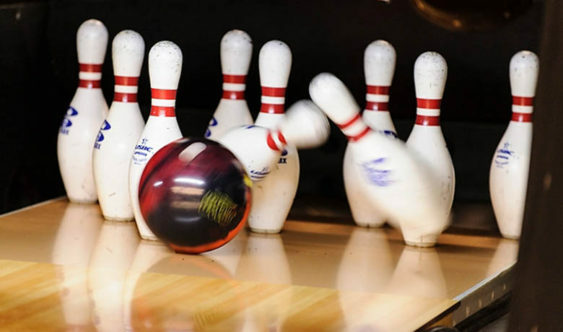 Bring a can of food and bowl a free game at the Boardwalk Bowl in Santa Cruz from November 1 through December 31, 2018. All food donations go to Second Harvest Food Bank of Santa Cruz County to help feed local families. Last year, 15,250 meals were provided. Limit one game per person per day. Does not include shoe rental. Offer valid Sunday through Friday and Saturday before 8pm. For a $100 cash donation to Second Harvest, they’re giving away 25 free bowling passes for use at the Boardwalk Bowl on future visits. Boardwalk Bowl League Players who bring in 3 cans of unexpired food during league play receive 3 free bowling passes for a future visit.